Does your transit agency need a public transportation website that can support the needs of your growing ridership? MJM Innovations is proud to introduce EzTransit, a complete solution for transit agencies looking to develop, upgrade, or launch a transit website. EzTransit is more than a website – it is a fully-integrated technology platform that can be used to streamline and promote your transit services. Read on to learn how MJM’s customized public transportation website solution can cut your costs and make it easy for riders to find and use your transit services. Want a FREE demo to learn how the EZTransit platform can benefit your organization? Call (866) 664-1277 to learn more, or click here to Contact Us Online. Today’s transit systems provide more services for their riders than ever before. But more programs mean more customer management across multiple platforms, not to mention increasing costs. And because today’s riders have many options for their transportation, providing convenience is more important than ever. Having a powerful and dynamic transit website is critical to keeping your riders happy and using your services. So how can you get the best public transportation website that not only streamlines your services, but can be instantly customized to meet the constant needs of your riders? 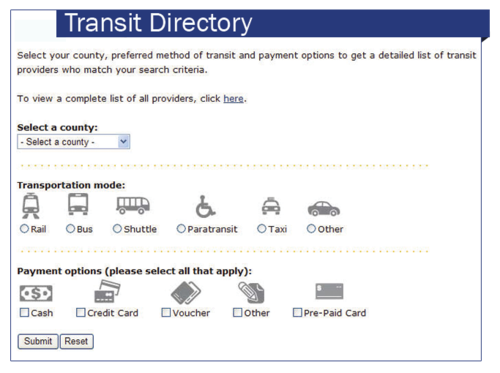 With EzTransit, multiple transportation providers and services can be accessed using a centralized website. Trip planning, service alerts, schedules and maps, transit directories and other useful tools are available to support today’s growing ridership. The website can provide customer-friendly searches for passengers to plan their next trip within a city, state or region. Built using a state-of-the-art Content Management System (CMS), EzTransit allows for a dynamic, customizable website that can also be expanded as needed. Reduce the number of calls into your agency to request route and trip information, saving you time and cutting your costs. Increase public awareness of transportation options and programs in your community, increasing your ridership and overall use of your services. Improve usability of your website and services to increase rider loyalty and take your customer service to the next level. Control a fully hosted and customizable website that can instantly meet the needs and demands of your ridership, and empower your organization to better carry out its mission. No matter the needs of your transit organization and its ridership, the EzTransit solution can meet them. Custom-made for the needs of your organization, no EzTransit site is the same. MJM’s transit website development specialists can develop and fully-manage the website that’s right for your agency. Easy Customization – EzTransit’s powerful CMS framework makes it easy to quickly customize your website for your customers and providers. 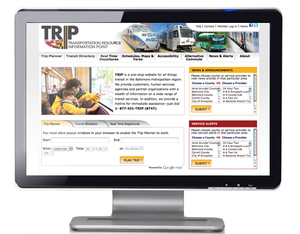 Intuitive Design – Make your website quick and convenient for passengers searching for online transportation planning. Full Integration – Quickly and easily integrate your website with existing technology platforms to provide real-time, up-to-the-minute travel information. Management Made Simple – With EzTransit, transportation providers can manage and update schedules, fares, and other information with the click of a button. MJM’s team will provide full development, creative, and design services customized to your agency’s specifications. The EzTransit system also features website hosting and 24/7 technical support to keep your website running smoothly. With its powerful platform, easy integration, and its benefits for riders and providers alike, EzTransit is the perfect solution for transit providers who want to improve their services and cut their costs. Ready to get the best public transportation website for your organization? Call MJM today at (866) 664-1277 for a FREE demo of EzTransit, or click here to Contact Us Online. We look forward to showing your agency how EzTransit can take your customer service to the next level, while saving you time and money.